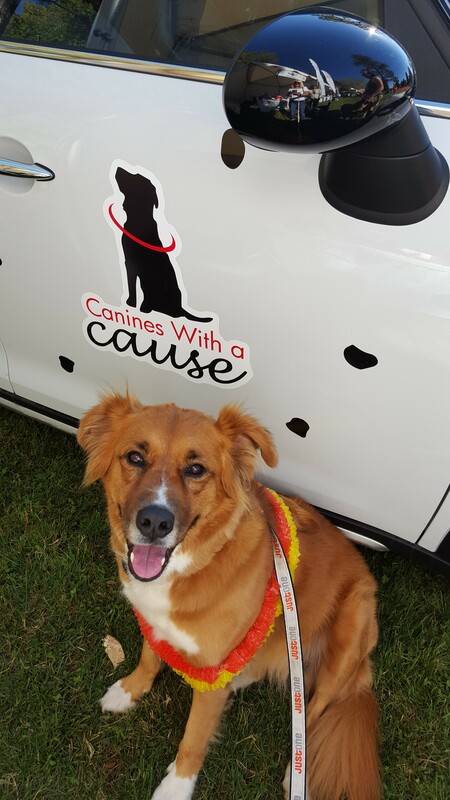 Join Canines With a Cause for 2016 Strut Your Mutt! Join Canines With a Cause for Strut Your Mutt! We’re raising money to support the life saving programs of Canines With a Cause. You can help CWAC and join in the fun too! Every day, an average of 22 of our Veterans Heroes commit suicide due to Post Traumatic Stress or Traumatic Brain Disorder. Canines With a Cause rescues dogs from local shelters and trains them as loving companions for these Veterans. Some of the dogs live and train in the Utah State Prison with women inmates. The dogs provide unconditional love and support while the Veterans heal and transition back to family and civilian lives. That’s why our team is participating in Best Friends Animal Society’s Strut Your Mutt event to raise money for animals. But we need your help, too. Please join us either by registering for our team or donating to one of our team members. Your donation is tax deductible and each participating animal welfare organization keeps 100 percent of the money that’s raised after transaction fees. And the best part? That money will help save three lives. Click Here to Register or to donate to our team!